The trial of ex-National Security Adviser (NSA), Rtd. Col Sambo Dasuki, at the Federal High Court, Abuja, was on Wednesday stalled due the absence of the defendant’s counsel, Mr Joseph Dauda (SAN). Newsmen report that Dasuki is standing trial on allegation bordering illegal possession of firearms and money laundering. Justice Ahmed Mohammed went ahead to adjourn the trial until Feb. 8, for the trial following the application presented to the court by Mr Adedipe Adiola. The application which did not, however, state the reason why Daudu would be away from the trial was however objected to by the Prosecution Counsel, Mr Mr Oladipo Okpeseyi (SAN). According to Okpeseyi, the lead defendant council’s action was simply meant to delay the trial. He said it was unthinkable for the counsel not to clearly state the reason why he would be away from the court. Newsmen recall that the case which was originally filed in 2015 was initially been entertained by former Justice Adeniyi Ademola until October 2016. The Federal Government has accused Dasuki to had illegally stored five Tavor X95 assault rifles with numbers 45801168, 45801169, 45801175, 45801176 and 4801199. The other items allegedly found from the residences of the accused person in Abuja and Sokoto, respectively, included ammunition and cash sums running into millions of naira. However, the ex-NSA had pleaded not guilty to the criminal allegations. 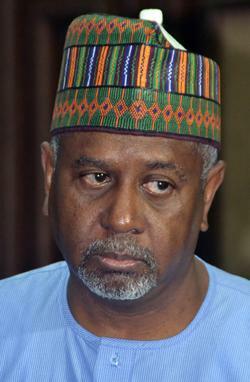 The post Dasuki’s trial: Absence of defendant’s counsel stalls session appeared first on Vanguard News.